I’m back from the dead. I’m happy to report that I wasn’t even really close to death. Alas, work, a few days off and a lot of family needs took me away from posting for a bit, but I’m back and ready to rededicate myself and redesign. 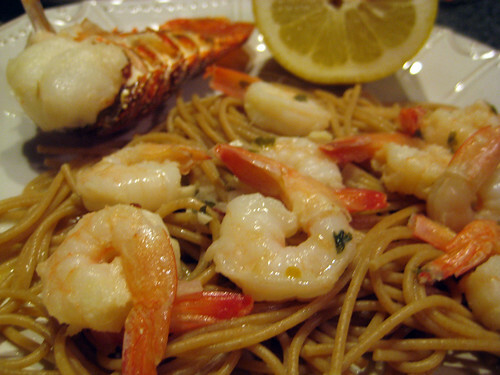 And to kick things back off, I’ll tell you a bit about the Lobster and Shrimp Scampi Over Whole Wheat Pasta I surprised my wife with last night. Vita has been working very, very hard lately and she did some awesome stuff for my birthday recently. So to make up for it, I plotted all day. Ernesto, my fish guy, scored me some really nice 4 oz. 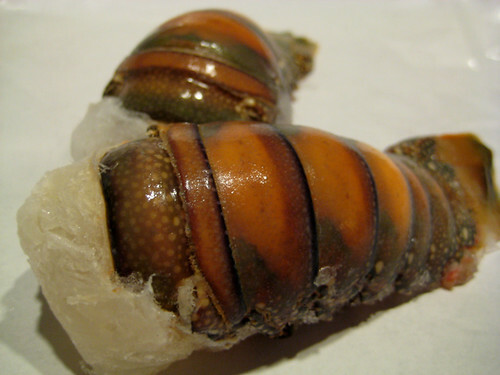 slipper lobster tails, which come from a number of lobster species related to the rock lobster. They were frozen, so they were a little tougher than normal lobster, but they’re just as flavorful and really great for the price. 1. Bring a large pot of salted water to a boil and cook your spaghetti according to the package. 2. Meanwhile, in a large skillet, melt 2 tablespoons butter in 2 tablespoons olive oil over medium-high heat. Saute the shallots, garlic, and red pepper flakes until the shallots are translucent, about 3 to 4 minutes. 3. Toss the shrimp with salt and pepper; add them to the pan and cook until they have turned pink. Remove the shrimp from the pan immediately; set aside and keep em warm. 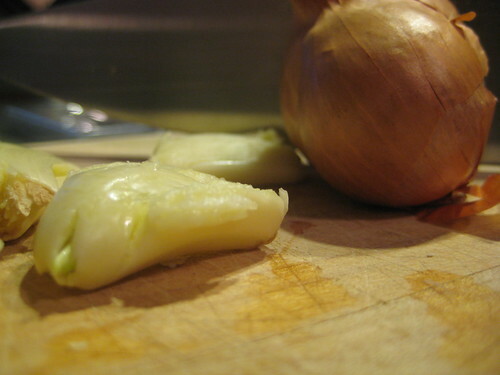 4.Add wine and lemon juice and bring to a boil. Add the rest of your butter and oil. When the butter has melted, return the shrimp to the pan along with the parsley and cooked pasta. Stir well and season with salt and pepper. Be sure your lobster tails are thawed fully. You can cook them frozen, but they tend to be more tender if thawed first. If you don’t want them to curl, slide a wooden skewer through the base of the tail to the tip. Pre-heat your oven to 400 degrees. Brush the tails with a little butter and some olive oil before they go into the oven. Bake the tails for 8 to 10 minutes, a bit longer if they’re frozen. Serve with lemon juice or butter. Sorry I’ve been absent guys. I’m back in the blogging habit now! Entry filed under: Our Recipes. Tags: Food, Home Cooking, Pasta, Recipes, Seafood.